Ability of Australian coals to form slags that do not compromise gasifier operation and ensure high availability. All of the above issues rely on a detailed understanding of the behaviour of coals in the gasification process and of the resultant impacts on downstream unit operations associated with syngas cleaning, processing, separation and storage or utilisation. Consequently, as well as facilitating demonstration projects, it is essential that the R&D infrastructure and capabilities, including an appropriately-scaled research gasifier system, be available to reduce the risks associated with deployment of these technologies. The focus of the IGCC program will be on facilitating early demonstration projects in the near term, and also on identifying productive areas for near term capacity building and constructive linkages to fundamental R&D to support technology development for commercial deployment and optimising and adapting commercial technologies to local conditions and circumstances. Harris, D & Roberts, D 2009, ANLECR&D scoping study: Black coal IGCC. 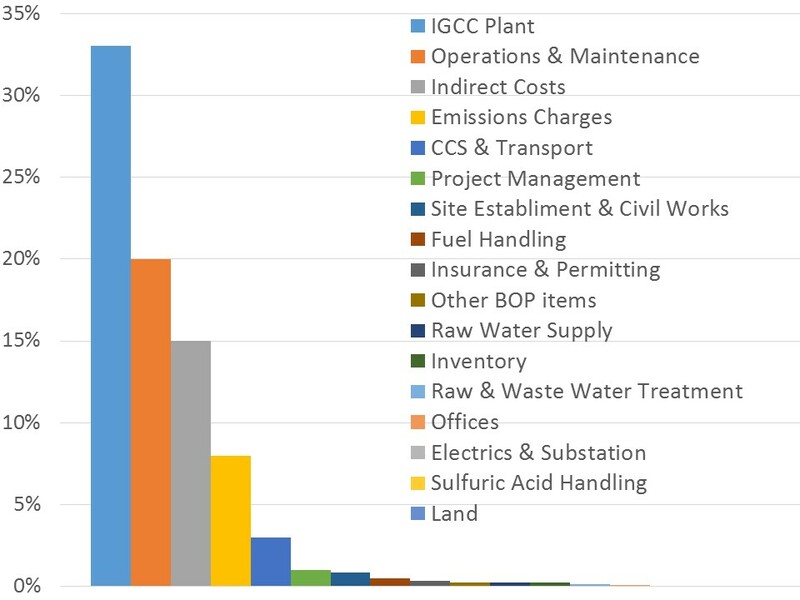 ANLEC R&D aims to focus on reducing the highest costs of IGCC projects.